Weekend At Burnie's- In Stores Now! Weekend At Burnie's is official in stores now! Grab the album on iTunes , break out that special stash, and enjoy Spitta's lastest work! If you want to hear the full album before you buy it you can listen to Weekend At Burnie's for a limited time right now on AOL Music . Read more about Weekend At Burnie's- In Stores Now! "Don't be fooled by the billowing cloud of fragrant smoke: Curren$y is a shrewd businessman. Despite five record deals in less than 10 years, including one with No Limit and another with Cash Money Records, and still no "official" solo debut, the New Orleans rapper has carved out a career with a unique, indie approach." Head over to Billboard.com to read the full article and make sure you get that Burnie's pre-order on iTunes. 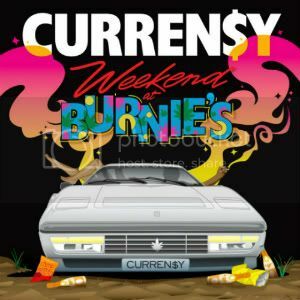 New Video - "She Don't Want A Man"
Last week Spitta premiered his new video for "She Don't Want a Man" off the Weekend at Burnie's album. Appropriately, this cinematic visual (starring Curren$y) follows the story of his ongoing relationship with a married women. Check the video & see what goes down! Read more about New Video - "She Don't Want A Man"
Complex published their list of top albums of 2011 so far, and Covert Coup came in at an impressive 15. You can peep the full list on Complex.com and grab the mixtape here if you don't have it yet! Complex published their list of top albums of 2011 so far, and Covert Coup came in at an impressive number 15. You can peep the full list on Complex.com.